See the video here. 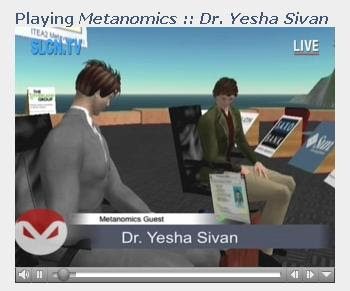 (The second part of the video is about Metaverse1 rationale) This is Yesha Sivan's talk for the Metanomics TV program. This is part of the Metaversed series of talks about the Metaverse. This is a MP4 almost 1 hr video where Robert J. Bloomfield, Nicholas H. Noyes Professor of Management from Cornell Johnson Scool of Management asks me some difficult questions about the future. This video can serve as a good intro to the long term value of the Metaverse.